Light Space & Time Online Art Gallery is pleased to announce that its March 2017 art exhibition, the 8th Annual “Abstracts” Art Exhibition is now posted on their website and can be viewed online. Jupiter, FL, USA — Light Space & Time Online Art Gallery is pleased to announce that its March 2017 art exhibition, the 8th Annual “Abstracts” Art Exhibition is now posted on their website and can be viewed online. The theme for this art exhibition is abstracts and artists were asked to submit their best nonobjective or nonrepresentational art for this competition. An international competition was held in February 2017 which determined the art for this exhibition. The gallery received submissions from 36 different countries and also received entries from 38 different states. Overall, 887 entries were judged for this art competition. To proceed to the galleries 8th Annual “Abstracts” online art exhibition follow this link: http://www.lightspacetime.com/abstracts-art-exhibition-march-2017. Light Space & Time Online Art Gallery announces its 8th Annual “Abstracts” online juried art competition for the month of February 2017. Jupiter, FL, USA — Light Space & Time Online Art Gallery announces its 8th Annual “Abstracts” online juried art competition for the month of February 2017. The gallery urges all 2D and 3D artists (Including Photography) to submit their best abstract art. Light Space & Time Online Art Gallery encourages entries from artists regardless of where they reside and regardless of their experience or education in the art field to send the gallery their best interpretation of the theme “Abstracts”. The “Abstract” theme will be the artist’s interpretation and depiction of nonobjective or nonrepresentational art for this competition. A group exhibition of the top ten finalists will be held online at the Light Space & Time Online Art Gallery during the month of March 2017. In addition, Special Merit and Special Recognition categories will be awarded as well. The submission process and the deadline will end on February 24, 2017. Winners of the “Abstracts” Art Exhibition will receive extensive worldwide publicity in the form of email marketing, 70+ press release announcements, event announcement posts, extensive social media marketing and distribution, in order to make the art world aware of the art exhibition and in particular, the artist’s accomplishments. In addition, artists shall also receive a digital Award Certificate, Event Postcard, Press Releases and “Leveraging Your Success” marketing materials if they place in this exhibition. Interested artists should provide to us with your best abstract art now or before the deadline of February 24, 2017. Interested artists may apply online here: http://www.lightspacetime.com. Light Space & Time Online Art Gallery announces its 7th Annual “Abstracts” online juried art competition for the month of February 2016. Jupiter, FL, USA — Light Space & Time Online Art Gallery announces its 7th Annual “Abstracts” online juried art competition for the month of February 2016. The gallery urges all 2D and 3D artists (Including Photography) to submit their best abstract art. A group exhibition of the top ten finalists will be held online at the Light Space & Time Online Art Gallery during the month of March 2016. In addition, Special Merit and Special Recognition categories will be awarded as well. The submission process and the deadline will end on February 25, 2016. Interested artists should provide to us with your best cityscape art now or before the deadline of February 25, 2016. Interested artists may apply online here: http://www.lightspacetime.com. Light Space & Time Online Art Gallery is pleased to announce that its June 2015 art exhibition, the 6th Annual “Abstracts” Art Exhibition is now posted on their website and can be viewed online. 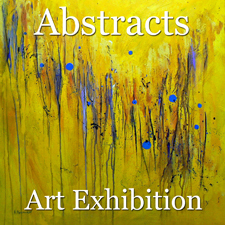 Jupiter, FL, USA (June 1, 2015) — Light Space & Time Online Art Gallery is pleased to announce that its June 2015 art exhibition, the 6th Annual “Abstracts” Art Exhibition is now posted on their website and can be viewed online. The theme for this art exhibition is abstracts and artists were asked to submit their best nonobjective or nonrepresentational art for this competition. An international art competition was held in May 2015 which determined the art for this exhibition. The gallery received submissions from 23 different countries and also received entries from 35 different states. Overall, 760 entries were judged for this art competition. To proceed to the galleries 6th Annual “Abstracts” online art exhibition follow this link: http://www.lightspacetime.com/abstracts-art-exhibition-june-2015. Light Space & Time Online Art Gallery is pleased to announce that its October 2014 art exhibition, the 5th Annual “Abstracts” Art Exhibition is now posted on their website and is ready to be viewed online. Jupiter, FL, USA (October 3, 2014) — Light Space & Time Online Art Gallery is pleased to announce that its October 2014 art exhibition, the 5th Annual “Abstracts” Art Exhibition is now posted on their website and is ready to be viewed online. 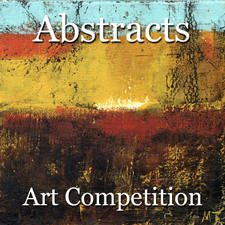 The theme for this art exhibition is abstracts and artists were asked to submit their best nonobjective or nonrepresentational art for this competition. An art competition was held in September 2014 which determined and judged the art for this exhibition. The gallery received submissions from 21 different countries from around the world and they also received entries from 35 different states and Puerto Rico. Overall, there were 896 entries which were judged for this art competition. To proceed to the galleries 5th Annual “Abstracts” online art exhibition follow this link: http://www.lightspacetime.com/abstracts-art-exhibition-october-2014.